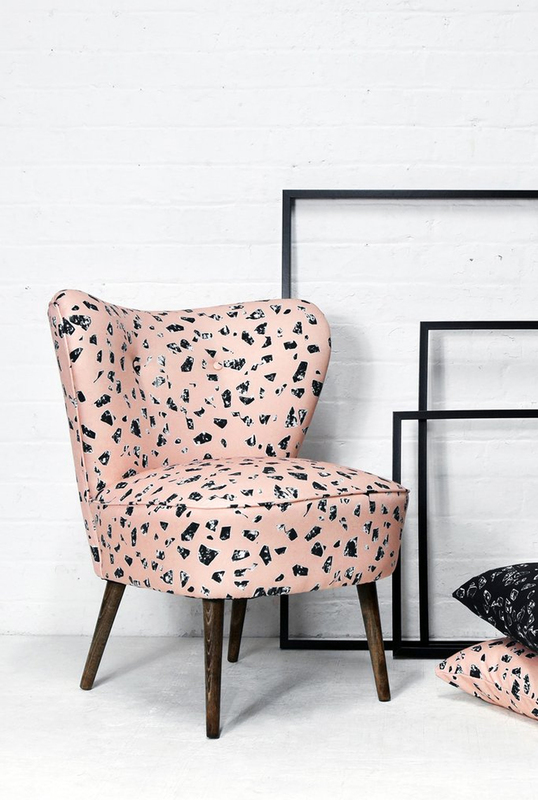 You might already be familiar with Florrie + Bill (named after founder Amy Cawson's grandparents), because they've been breathing new life into vintage furniture for several years now, but only recently launched their very own fabric range, The Studio Collection, that you can match up with a retro cocktail chair (love this option! ), select a vintage piece from their current range, or even send your own piece of furniture for them to upholster in one of their fabulous patterns. When I went along to their press show back in November last year, I let out a squeal of delight when I saw this cocktail chair (that also got some serious love on my Instagram!) covered in their 'Chips' fabric in Peach. It's such a showstopper, and cocktail chairs are super handy occasional seating too - comfy, without taking up a load of space. 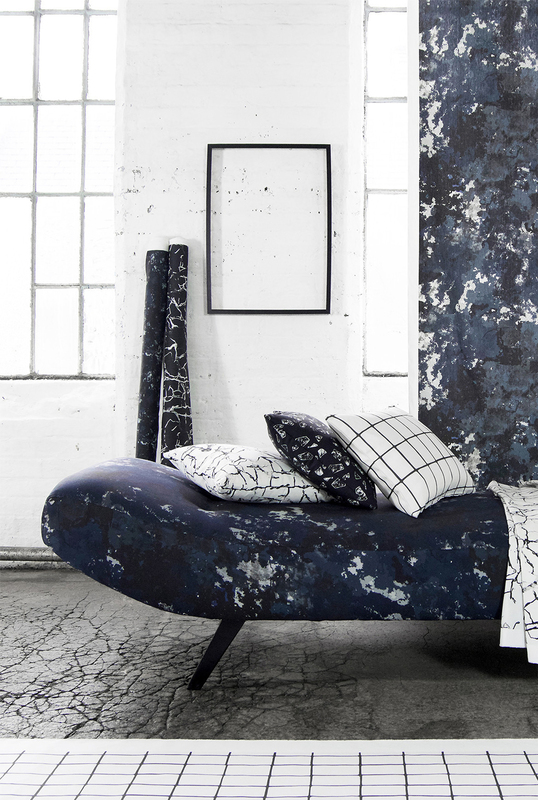 The Studio Collection designs - Chips, Glaze, Terrain, Impression and Fragment, were inspired by their workshop, which was once a lace factory. From the original Crittall windows, to the patina of the upholstery work bench, the peeling paint of the walls, and the worn and cracked terrazzo-eque floors. 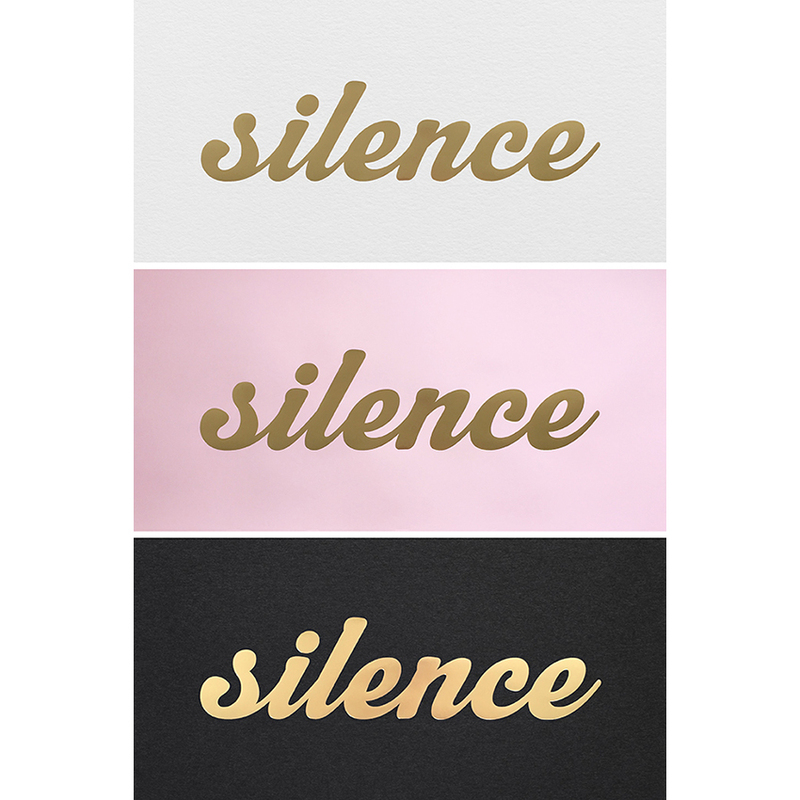 Though inspired by the past, each design has a thoroughly contemporary feel, and they all sit beautifully together thanks to the lovely muted colour palette. The big problem though, is which one to choose! For me, Chips (in peach, obvs.) is the standout, but I do love all the designs, especially the perfectly imperfect grid of Glaze, and Fragment too for their graphic look, but then I love the softness of Impression and Terrain. It's a really stunning collection, and basically I want them all. 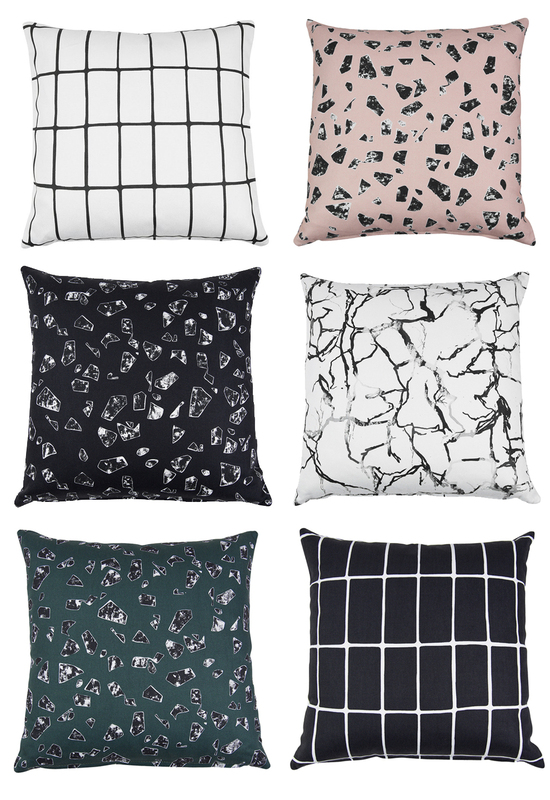 If you can't decide which one you love best, never fear, because most of the designs are available in cushions too, including huge floor cushions, so you could always buy a cushion first to help you make up your mind. Yes, I'm a shopping enabler. Sorry. I'd love to see a wallpaper collection in these patterns, I think they'd be a huge success. 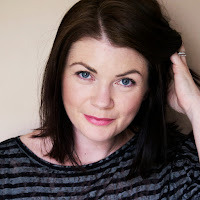 Do have a further look at the The Studio Collection here, not only because these are really great designs, but because Amy is a thoroughly lovely lady. I think Florrie + Bill would be very proud indeed.